It’s still warm out, but we’ve got pumpkins on the brain! Farmer Henry’s here to teach us about the gourds we grow here at Chiles Peach Orchard. For about the last five years, we’ve been planting our pumpkins no-till. 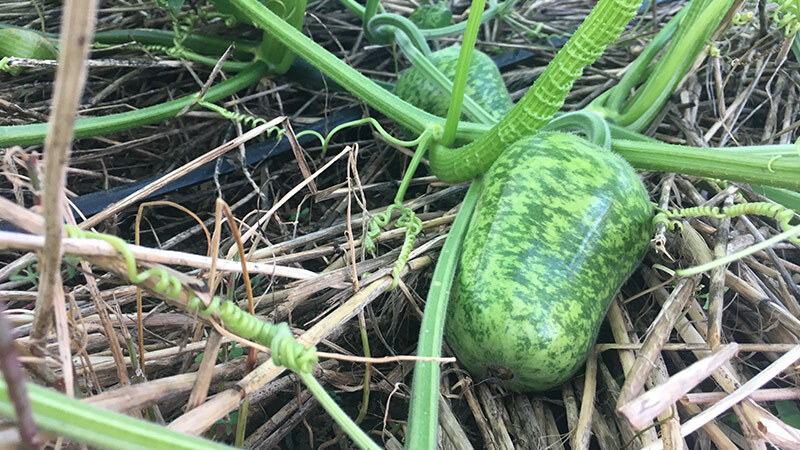 That means we can plant our pumpkins without having to disc and rotovate up the soil, which reduces our risk of erosion and runoff. Instead of breaking up the soil, we’re planting right into green matter that’s on the ground. This method allows us to improve our soil profile, or soil health, by adding organic matter every season. This particular season, we’ve had plenty of rain and haven’t had to run our irrigation much. Everything is growing well and we’ve got healthy plants. Of course, we don’t have only basic orange pumpkins. 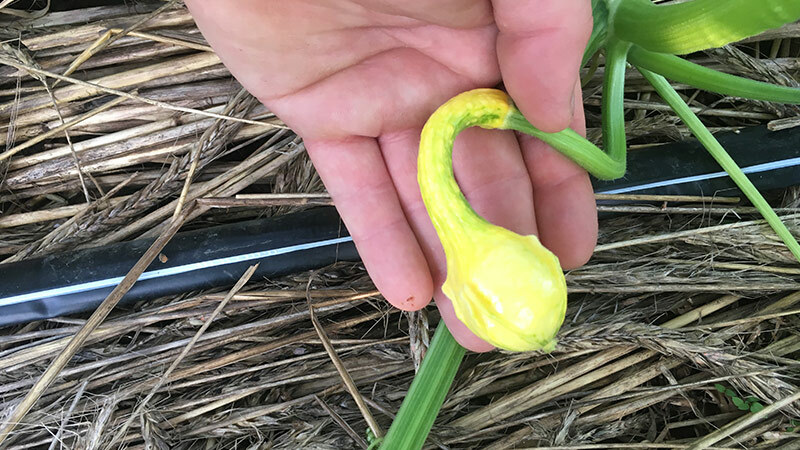 We have a variety, including these decorative gourds that have just recently been pollinated and are beginning to grow. These will triple or quadruple in size before harvest. This is an apple gourd. Though they resemble their namesake in shape, they will grow much larger than an average apple. 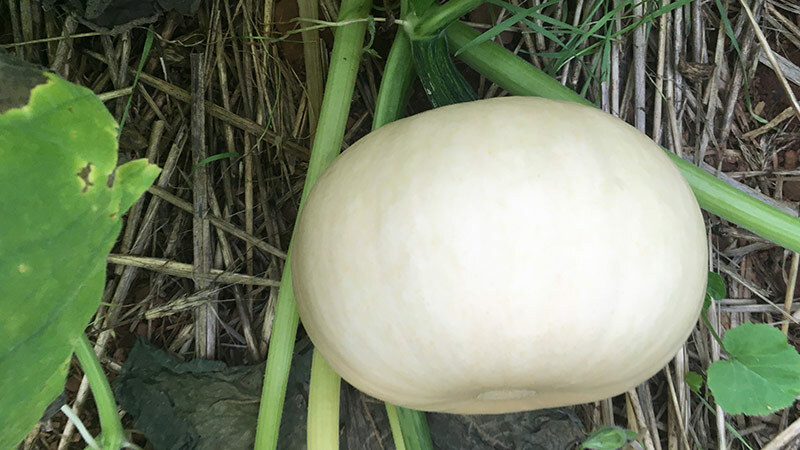 Snowball is one particular variety of pumpkin that we’ve enjoyed growing. Snowballs are a one- to three-pound white pumpkin and are great for decorating! If all goes according to plan, we’ll open the pumpkin patch September 22–23 in conjunction with our Fall Into Fun Festival. We’re on track to have a great year for pumpkins. Remember to follow us on Twitter (@ChilesPeachOrch) for daily picking updates!